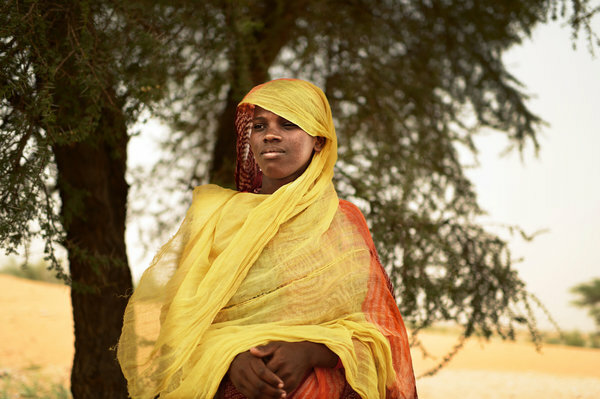 [caption id="attachment_40136" align="aligncenter" width="600" caption="Noura Mint Mourada, now 18, became a slave to a family in Boutilimit, Mauritania, at the age of 4."] [/caption] The protesters gathered in front of the low-slung police station, yelling “No to Slavery” and “Freedom.” They had come from across the country to demand the arrest of a family accused of holding a slave since childhood, but they elicited little more than dispassionate stares from the police officers sitting silently before them. The subprefect of the district went to take a nap in the afternoon heat. This year, the government gingerly acknowledged that an age-old scourge still haunted this nation, creating a new agency to wipe out the “vestiges of slavery” here. In a nation where the authorities have long denied the persistence of the problem, the willingness to emblazon the word “slavery” on a government agency — with a gleaming sign announcing it on a prominent street in the capital, no less — was a significant turning point and a step in the right direction, experts say. But to the Mauritanian activists who have pressed for action for years, sometimes at their own peril, the change is an ambiguous one: Is the government really committed to ending the centuries-old practice? Or is it trying to project a newfound resolve that it does not truly have? Slavery has been abolished in Mauritania for decades, and the director of the new government agency — called “The National Solidarity Agency for the Fight Against the Vestiges of Slavery, for Integration, and for the Fight Against Poverty” — says that no instances of the practice have turned up since he started work in April. By some measures, this West African nation has the highest prevalence of slavery in the world, with estimates that as many as 140,000 or more of the nation’s 3.8 million people are enslaved, primarily by “masters who exercise total ownership over them and their descendants,” according to the 2013 Global Slavery Index, which tracks the phenomenon around the globe.